Vacation Rentals are popular in the summer. When the weather is warm, many people are excited to hit the shore, relax, and have fun. But the fall offers cheaper rents, less crowds and beautiful weather. Before you and your family can begin enjoying the sand and waves, you need to learn some rules. Adhere to Warning Flags: Beach flags are used to let visitors know the condition of the water on any given day. For instance, red flags may indicate high surf and strong currents. Blue or purple flags mean potentially dangerous marine life is present. However, every beach and state may assign different meanings to these colors, so ask the lifeguard if you’re not sure what the flags mean. 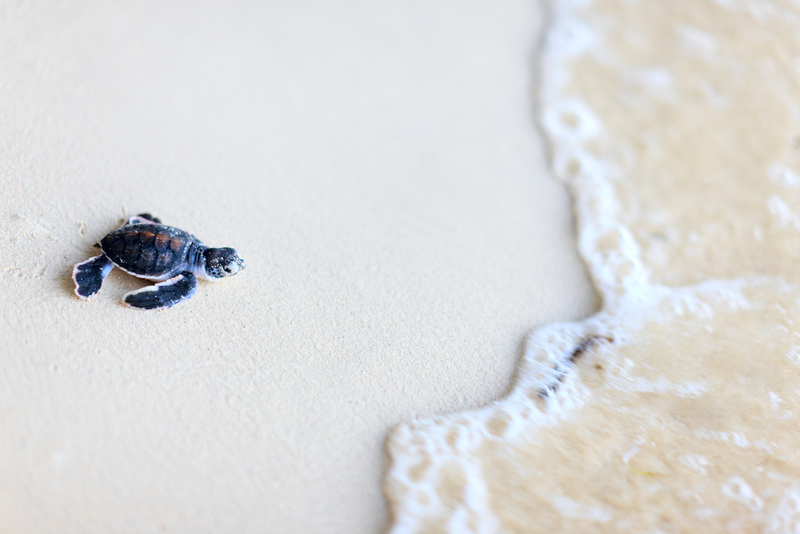 Be Wary of Sea Turtles: Sea turtles are an endangered species and are protected under the law. As such, it’s crucial you avoid disturbing their nesting spots. Keep the area surrounding each nest clear of beach equipment to avoid blocking the hatchlings’ path. Practice Proper Sand Etiquette: Most beaches prohibit picking sea oats, which is a tall, subtropical grass that plays an important role in stabilizing sand dunes. Instead of disturbing the dunes, use nearby boardwalks and other designated pathways to get to the water. Avoid Using Combustibles: Often, building a bonfire on the beach is prohibited, as they may erode sand dunes and disturb any creatures living nearby. Additionally, fireworks are usually not allowed, although certain resorts do permit the use of sparklers and glow worms in designated areas. If you want to get warm, opt to use the fireplace provided by your beach house rental, instead. For the ultimate vacation, choose one of the beach rentals offered by Sugar Sands Realty & Management in Orange Beach, AL. These professionals make it easy to book vacation homes and condo rentals through their extensive selection of properties online. Whether it’s a short-term trip or a long-term getaway, they will help you. Give them a call today at (800) 824-6462 or visit their website for more information.